Ville Seitsonen aka DJ Sputnik found electronic music somewhere in the mid 80's when he was still a little kid. Sputnik started playing and collecting all kinds of vinyl records in 2001. At first, the styles he was playing were trance and progressive house, but nowadays his sets contain mainly house, italo disco, techno and electro. I found myself fascinated by electronic music in the late 90s and in 2001 I began playing house and trance records in my bedroom. Frequent clubbing in Stockholm at illegal underground parties eventually shaped my taste for harder, deeper and techier sounds. Since 2005 I've lived in Turku, Finland, and go under the name Lunardust when deejaying. 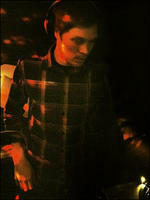 In the electronic music scene of Turku I have made appearances at Diiva UG, X-Rust, Luna and Turunskene. Since a couple of years back I have been playing back2back with Jarier. 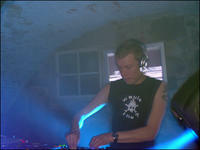 DJ Matlåck has a love for all things deep and groovy. He has been collecting vinyl and deejaying since 2003. Nuutti-Iivari Meriläinen aka dcom was born immersed into a world of music, starting with classical music studies and playing several traditional instruments before his teen years. His interest towards electronic dance music and away from more traditional forms was initiated by a trip to Ibiza in 1989, where experiencing the raw intensity of acid house and deepness of new beat kicked off an obsession that has gradually filled up his record shelves and built up his distinctly individual and eclectic taste. Coming from a family of musicians Maria Soini was immersed in music since early childhood. Throughout her school years she studied classical music playing the piano and the clarinet and sang in different compositions. Alongside classical Maria was also exposed to, and grew to love, various dance and popular music including italo disco, house and synth pop. These sounds ultimately gave a new direction for her musical aspirations.